The winter woolies are away and the sun has come out to play! 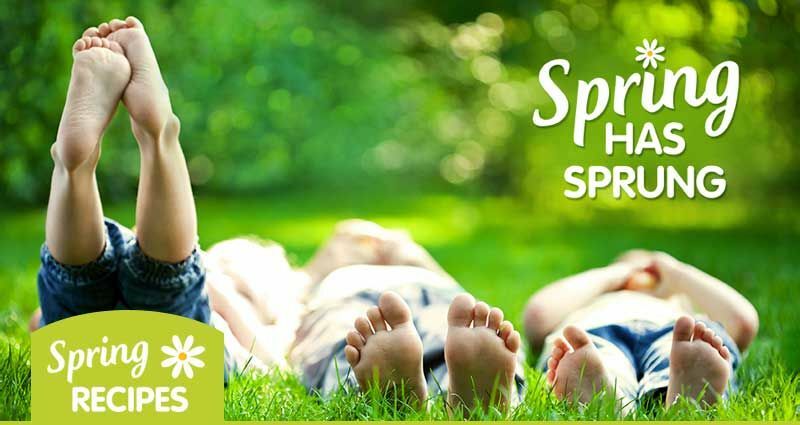 We hope that by now you are loving the scent of flowers and that your grass is looking healthy again. 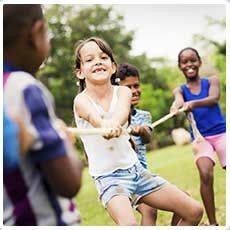 Enjoy the warm rays on your face as you entertain your family and friends outside with some of our deliciously decadent recipes. Our hand-picked selection will help you blossom into this warm and happy season. With all this warm weather on the horizon, it’s the perfect time to sit outside on the patio with a refreshing drink in hand. And... it looks as delightful as it tastes! To assemble, puree nectarines, lemon juice and fresh basil leaves. Decorate with a few sprigs of fresh basil. 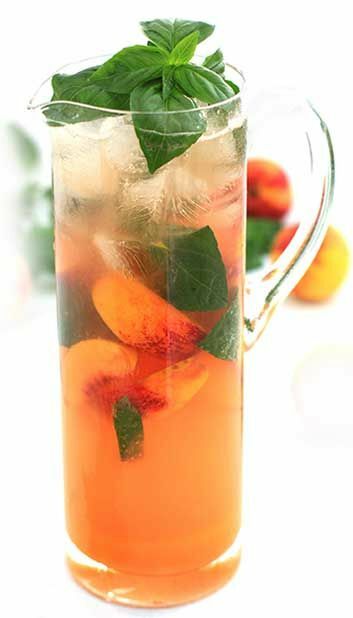 You can substitute the nectarines with any seasonal fruit or canned peach halves. 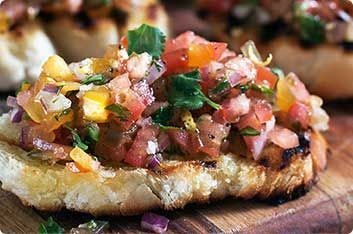 Sweet and Spicy Tomato Salsa on crostini is the perfect appetiser to keep the hunger pangs at bay while guests are socialising outside. This can also be served as a snack. 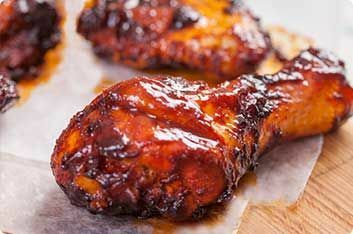 When you have a crowd to feed and please, you won’t go wrong with these Sticky Ginger Chicken pieces. Keep it easy and fuss-free by serving them on a platter accompanied by a crisp green salad and bowls of savoury rice. Show-off style! 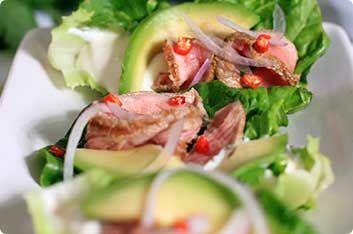 Fresh, healthy and flavoursome Mexican Beef Lettuce Cups are ideal for a light spring lunch. 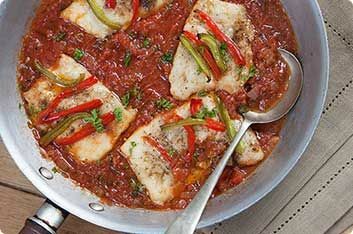 Peppers, fresh herbs and a can of tomatoes make this fish dish full of flavour. 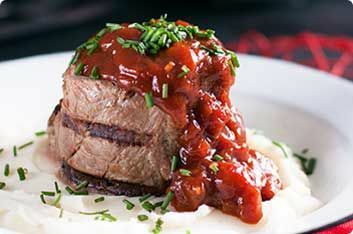 Perfect for a mid-week family supper. Spice it up! Monkey Gland Sauce is a savoury favourite! It’s delicious when served on your favourite cut of meat to add that extra bit of tang. For the coffee aficionados! Here is a new way of enjoying your coffee fix for the day. 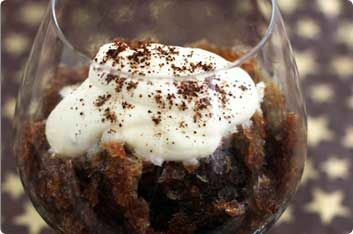 Iced Coffee Granita can be served as a dessert or as a cool refreshment on a hot day. Ice cream is a given favourite to end off any great meal. 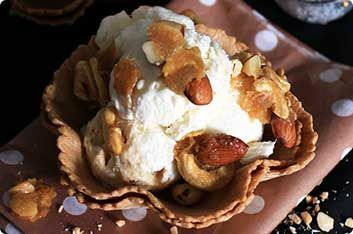 These little, sugar-cone cups filled with nutty crunch ice cream look stunning and are so easy to assemble. No one will ever guess how quickly you were able to whip them up. Just too pretty to eat! 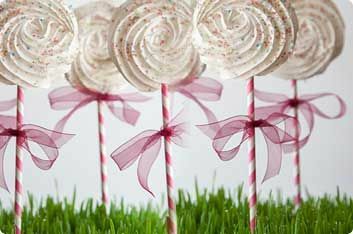 These beautiful meringue flowers look fabulous and are easy to make. Lovely for a kitchen tea party, baby shower or girls get-together. Serve and wait for the compliments! Give an old favourite a new twist. 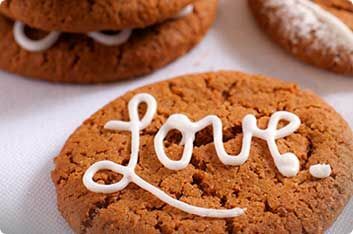 Ginger biscuits need no introduction but our piped ones are a novel idea. Whether it’s a kids’ birthday party, a teenage sleepover or grandma’s birthday, these iced biscuits will delight everyone. Spring means time for change! Make some flower ice cubes! Remember not all edible flowers are tasty. Use pansies, lavender, roses or violets. From now on, no more boring ice cubes in your drinks! Impress your guests! 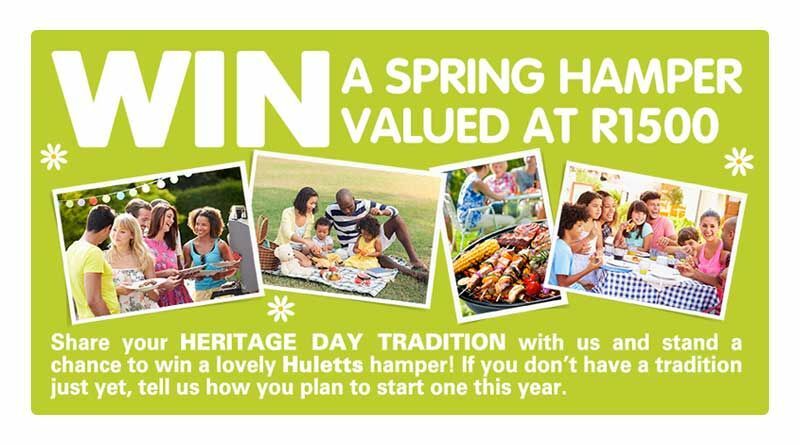 As South Africans, we celebrate by eating and Heritage day is no exception! What could be more South African than a sticky koeksister? Well, one drenched in rooibos syrup, of course! To make the syrup simply heat together until dissolved: 500g sugar, 1 cinnamon stick, 1/4 tsp ginger, juice of 1 lemon and 1 cup of Rooibos tea. Refrigerate syrup until thoroughly chilled. Dip koeksisters into the cold syrup straight after frying them. 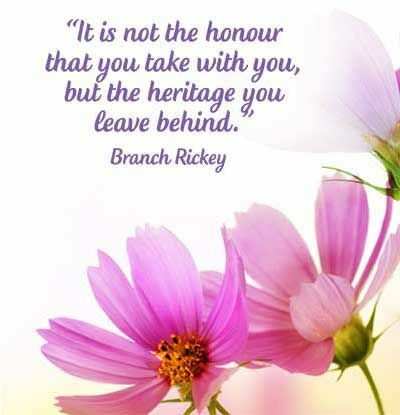 A day where all South Africans gather and celebrate the cultures of this beautiful country in the spirit of Ubuntu. Make lip-smacking braaibroodjies the main attraction at your Heritage Braai Day! Crunchy brown on the outside, but soft and wonderfully flavoursome on the inside, use bacon, banana, onion, sliced cheese, chutney, olive oil and fresh herbs. Life is too short not to try making these! Do something new in the garden. Plant some vegetables, it’s so much fun! 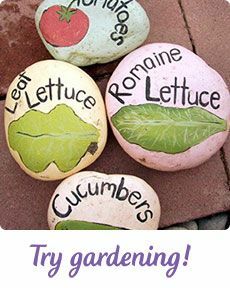 Get creative and paint rocks to use as garden markers! Your little garden will represent joyful new beginnings each time you see fresh growth. New beginnings, new ideas, new energy – exciting and suprising! 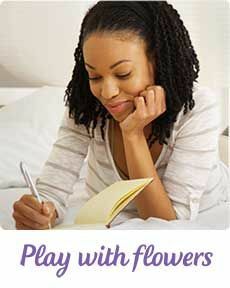 Start a journal with all of your goals and dreams for the future. If it pops into your head, write it down. Writing in your journal will become a lovely habit that draws you towards your dreams and keeps your thoughts beautifully captured. Time for a fresh table display! Find a vase that fits inside another vase with half an inch of room between them. 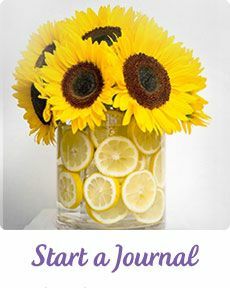 Fill the space between the two vases with water before slipping in sliced lemons. 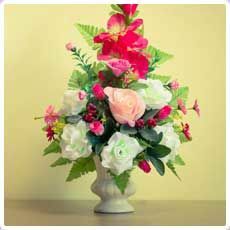 Fill the other vase with fresh flowers.